The steaks are ready, but you just realized that you're out of steak sauce. 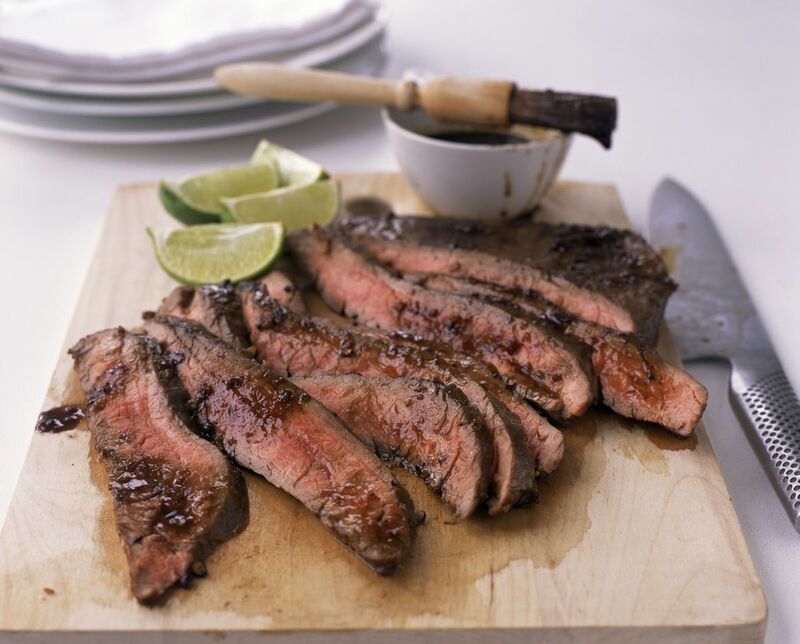 However, it's easy to make your own steak sauce from two basic ingredients. It's easy and can save you money because you may not want to buy pricey steak sauce again. This simple, no-cook recipe can be made in less than two minutes and customized to suit your taste and diet. The sauce works great for steaks, hamburgers, meatloaf, or any other dish you'd normally use steak sauce for. All you need for a homemade steak sauce is ketchup and Worcestershire sauce. To make the sauce, pour 1/2 cup of ketchup into a small bowl. Add 1/4 cup of Worcestershire sauce for a sauce that has a stronger tomato flavor. If you prefer a stronger flavor that is more like what you find at the grocery store or a steakhouse, increase the Worcestershire to 1/2 cup. Mix the ingredients well then do a quick taste test to see if you need to make any adjustments. Store any unused steak sauce in the refrigerator. As long as you don't add any fresh ingredients, it should keep as long as a store-bought steak sauce. Be sure to label the jar or bottle so you don't forget what it is. Make the recipe your own by adding a little bit of brown sugar, prepared mustard, apple cider vinegar, hot sauce, horseradish, black pepper, or your own secret ingredient. Barbecue sauce makes an excellent alternative to ketchup and the different flavors available are interesting to explore as well. With a little experimentation, you'll have a house steak sauce to call your own. Whether you share the recipe with your friends and family is entirely up to you. Sometimes it's nice to keep a few recipes secret. It's how recipes become legendary, after all. Are you watching your sodium or sugar intake? Use ketchup that doesn't contain salt or sugar to bring the recipe in line with your dietary needs. If you're on a gluten-free diet, good options are available for both ingredients. Similarly, you can find Worcestershire that does not include anchovies, which makes it ideal for vegetarian and vegan diets. It's amazing what you can make with a couple common ingredients. Steak sauce is one of those convenience items that you don't necessarily have to pay for. You'll spend almost as much for the ketchup and Worcestershire as you would for a single bottle of steak sauce. They're also far more versatile. Ketchup is a kitchen staple and a bottle can last most families a rather long time. It is also the foundation for a number of sauce recipes, including a homemade cocktail sauce. With those two recipes, ketchup can be a cornerstone for a budget-friendly surf and turf dinner. Likewise, Worcestershire sauce is a very useful ingredient. It adds a dark, savory flavor to foods and can be the finishing touch to many homemade sauces, including that cocktail sauce. Invest in a larger bottle and you won't run out. It has a long shelf life and can be used for up to one year.